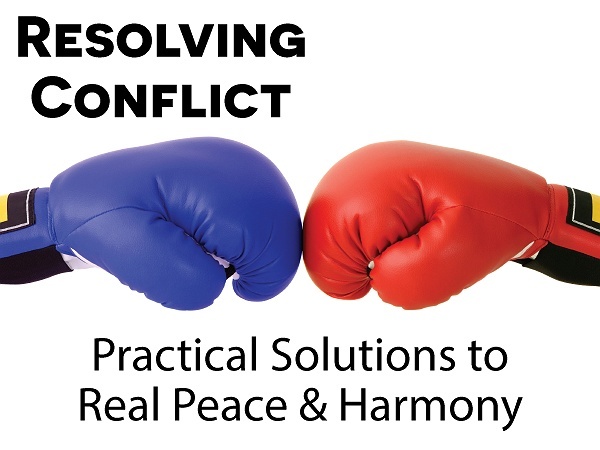 Subject: LongIsland.com - Your Name sent you Event details of "Resolving Conflict: Practical Solutions to Real Peace & Harmony"
Everyone experiences conflict. Few know how to find peace again without surrendering everything important. 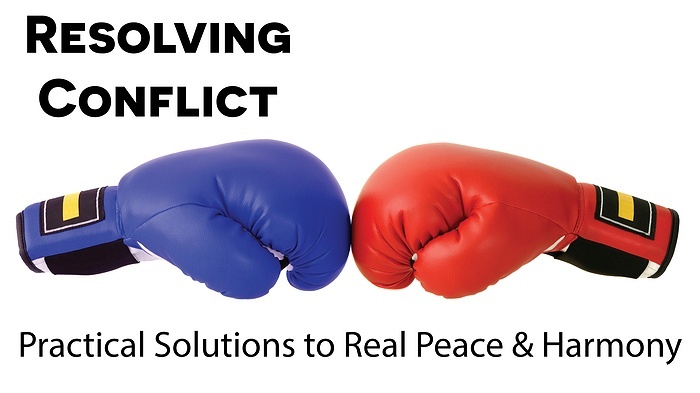 Join us at South Bay Bible Church, 578 Montauk Highway, East Moriches, starting on Sunday, July 15, at 9:00 and 11:00 a.m. for a new teaching series aimed at helping people navigate the troubled waters of Resolving Conflict. In this eight-part study, Pastor Hawley will identify the common pitfalls in relationships and provide practical solutions to restore harmony. Changing the way we deal with conflict can lead to genuine peace and reconciliation in your harshest exchanges. “Peace at home, work, with family, friends, and even enemies is not only possible but closer than you might think,” says Martin Hawley, pastor. 1. The Right Priority (Matthew 5:23-24) – July 15: There’s one thing that is the biggest destroyer of all relationships. It’s the same thing at home, work, with friends, or casual acquaintances. If you get this one thing right, you will be far ahead of most when it comes to peaceful relationships. 2. The Right Focus (1 Corinthians 10:31) – July 22: Conflict is a difference in opinion or purpose that frustrates someone’s goals or desires. Success in dealing with this difference in opinion or purpose is not so much a matter of specific results as it is about having the right focus. 3. The Right Heart (Matthew 7:3-4; Philippians 2:3-4; Ephesians 4:32) – July 29: When things get heated, people are naturally quick to judge the actions, attitudes, heart, and even intentions of others. Following this one principle will ensure you have the right heart from the start. 4. The Right Approach (Matthew 7:3-5; 1 John 1:8-9; Proverbs 28:13) – August 5: There’s one approach that brings refreshment in almost every conflict, but we’re usually not very good at it. Join us this Sunday for seven things that will change your entire approach and provide you the best chance of restoring peace and harmony. 5. The Right Response (Ephesians 4:32; Matthew 6:12; 1 Corinthians 13:5) – August 12: Sometimes relationships are so destroyed and offenses so severe that there is only one thing left to do. When you get this right, it changes everything! 6. The Right Judgment (Matthew 7:12; Ephesians 5:1-2) – August 19: Judge not lest you be judged! Does the Bible really mean all that? How does God want us to judge the wrongs that have been done to us, and what difference will it make in the people that have hurt us so badly. 7. The Right Attitude (Proverbs 9:9; 12:15; 13:19; 15:32; 17:10) – August 26: Even when criticism is inaccurate and unkind, it can still be a blessing and help you grow if you apply this one filter when you listen carefully. When you apply this filter to your life, you will be able to welcome any criticism in your life. 8. The Right Help (Matthew 18) – September 2: When you’re in over your head, there is an unexpected resource that just about everyone overlooks. Even if you know it exists, pride and fear play a significant role in keeping you from getting the help you need. When you push through, however, the right support will arrive. About South Bay Bible Church: South Bay Bible Church is a non-denominational Christian church known for Biblical messages applicable to everyday life. The church meets at 578 Montauk Highway in East Moriches, NY. The church’s mission is to lead people into a growing relationship with Jesus Christ. Our service schedule includes two convenient times: Sunday morning 9:00 and 11:00, and online anytime. A nursery and children’s church are available. For more information, go to southbaychurchli.org, call (631) 909-8241, Facebook, or Twitter @sbbcli.